I am reviewing Mike Breen and Steve Cockram’s book, Building a Discipleship Culture. Breen’s approach to disciple-making and ministry is appealing. So I wanted to blog through the book chapter by chapter. In the previous posts on Mike Breen’s book, I discussed his view of discipleship and his assertion that many of our churches’ problems can be traced to problems with disciplemaking. Chapter 5 is the introduction to the heart of the book. Breen and his co-workers have developed LifeShapes, which form the “shared language” of his approach to disciplemaking. From Chapter 6 onward, he introduces these LifeShapes. 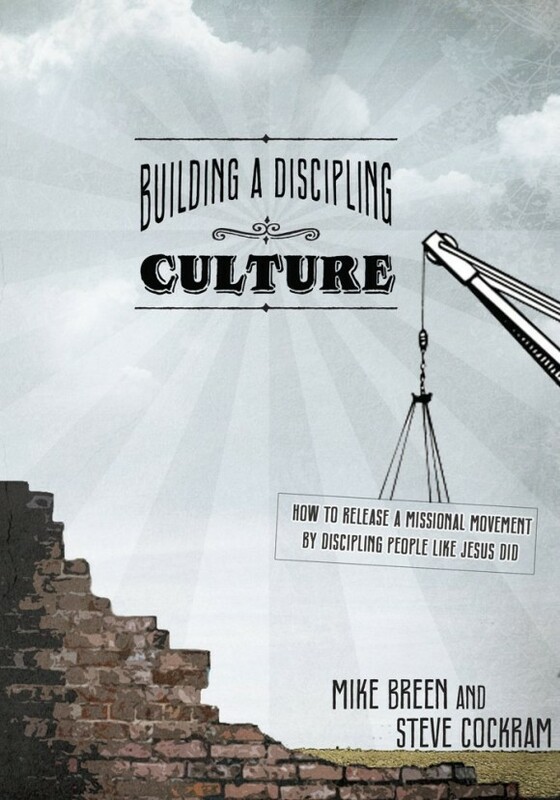 As we discussed in the last chapter, Breen thinks that a discipling culture needs a shared language. When I first read the book, I found his stress on having a shared language as odd. And I’m still not sold on this. I agree with him that having a way of talking about different aspects of the Christian life and discipleship is helpful in teaching others. But, as you’ll see, Breen seems to think we can have a discipling language that assists in creating a discipling language in the same way that a society’s language helps create that society’s culture. But Chapter 5 is where Breen explains why he thinks a shared language is so important. So let’s look at what he says and think carefully about it. “Sociologists say that language creates culture….The idea that language creates culture may sound strange, but it’s quite intuitive when we start to see it all around us.” (Kindle Locations 632-641). Most people never think about the ways that our ways of talking impact the culture we create. All of us impact the cultures we are in –– whether it is the culture of a family, the culture in a workplace, or the culture of a church. But we do. Of course, leaders usually have more impact than others, so the ways that leaders talk do impact a culture. At a more expansive level, there are good reasons to believe that a society’s language shapes its culture. But I don’t think we have to accept or even to understand the thinking and research behing this. As Breen says, you can see how the ways that you talk affect the smaller “cultures” that you live in. I tend to be a little sarcastic (okay, more than a little), and my sarcasm influences the groups I’m around. Often, they become more sarcastic. You see this in your life. So, after a moment’s reflection, you probably would not disagree with Breen. In Bill Hybels’ book, Axioms, he talks about how important it is to craft memorable phrases that define goals and values of your organization. In Hybels’ experience, these phrases get picked up and used throughout your organization (in his case, his church) and can greatly affect people. The culture begins to be shaped by it. This is what Breen is discussing. He wants a way of talking about following Jesus that is memorable enough that the people around him begin using the concepts and phrases. Then, over time, these concepts become a part of the culture and are passed on to others. I mentioned earlier that I do think that Breen overreaches in this chapter. One reason is that I think he makes too much out of his LifeShapes being a language in the sense that sociologists talk about a language. It’s not that what Breen is talking about is just a smaller-scaled version. Despite similarities, we are really talking about two different things here. If we standardize a way of talking about following Jesus and making disciples, then we can affect our church’s culture. But I’m not comfortable saying that it is a full-blown, culture-creating language. Also, many churches are effective at disciple-making who do not have a standardized language. But we can move on and not reflect to much about this. It really doesn’t affect things all that much. As long as we understand the role a “shared language” would play more along the lines of Hybels’s memorable phrases and not a society’s language, I don’t think there is too much objectionable here. “We know what it’s like to create a religious culture. Most churches have developed a whole language that is particular to the church world that some people are fond of calling “Christian-ese.” We have developed a religious language rather than a spiritual or discipling language. We use words that no one outside of church uses. We know religious spaces have certain rules, certain decorum and certain dress codes.” (Kindle Locations 652-655). Since language creates culture, the way we talk and act have contributed to the Christian subculture that most of us are familiar with and lament. Notice what has happened. Rather than our language conveying Christian principles to outsiders and to new Christians, our language has created a subculture which is a large reason that non-believers and new Christians often feel alienated when they first start attending church. Some people, however, criticize the church having any subculture of its own. But I don’t think Breen has a problem with the church having its own subculture. (I suppose he would think it is unavoidable, giving that a group of people usually develop their own ways of talking, and Breen stresses that “language creates culture.”) Rather, Breen wants us to be intentional about the language that we use and the resulting culture it creates. The problem with the typical subculture the church has created is that it is a subculture of exclusion and alienation. Rather, the church’s subculture should be one of disicpling. “This language should be the DNA of Jesus’ teachings, Scripture, leadership, mission and discipleship. The language should be shared by you and the people you are discipling, and eventually, by everyone in your church community. If we want to create a culture of discipleship, we need a language to support it. “One of the reasons we have seen so much success discipling people is we have an agreed-on language. The language we use, called LifeShapes, is a collection of eight shapes with each shape representing a foundational teaching of Jesus or principle from his life and is one that I (Mike) started developing in the early 1980’s. Over the past thirty years these shapes have become fully formed into this language.” (Kindle Locations 664-670). One reason many people find Breen’s discipleship material so effective is the discipling language that he’s created. Having these concepts––which summarize some of the basics of the Christian life and discipling –– to use in one’s ministry can slowly change the way people talk. In some ways, it gives people ways of talking about things that they’ve never had before. For example, the first LifeShape that Breen introduces in the book is the Learning Circle. Since we’ll learn more about the Learning Circle next chapter, permit me to summarize it briefly and save the fuller explanation for later. Basically, the Learning Circle gives you a way to process things God has been teaching you in your life and to discern ways to live out the things God is teaching you. The Bible teaches that God is active all around us, teaching us through the Scriptures, our conscience, fellow Christians, the Holy Spirit’s promptings, and so on. And I had taught that pretty consistently in my old ministry. But the LifeShape of the Learning Circle gave some of my students a way to talk about what God was teaching them. It slowly began to change the culture, I think. Breen has done the hard work to find ways to talk about different aspects of the Christian’s life, like prayer, evangelism, relationships, spiritual gifts, spiritual health, etc. Though the LifeShapes are admittedly weird and cheesy, in my experience, they work. Having a way to talk about evangelism or prayer or spiritual health helps lead to a culture where those things are talked about and emphasized. And, because we are in an image-based culture, Breen has found that tying these concepts and ways of talking into shapes makes them more memorable. “Each shape serves as a kind of portal or rabbit hole, with an endless number of Scripture passages, stories or practices attached. Let’s be clear: The biggest question about someone isn’t whether he or she could teach for five hours on a silly shape. The question is, does his or her life actually embody and incarnate the shape and Scripture teaching, and can this person multiply that into someone else’s life? That was Jesus’ criterion and so it is ours as well.” (Kindle Locations 741-744). And, because of that, the language that Breen is going to introduce us to in the following chapters –– the LifeShapes — do not need to be the basis of a sermon series or a new small group study. I found this chapter to be the driest in the whole book. Breen’s ideas in this chapter are helpful, but I’m not sure I find all of his framework necessary. Using memorable phrases and principles make those “stickier”, which help influence the culture. But I’m not sure it’s a necessary part of building a discipling culture that you “develop” your own discipling language or use an already developed language. And, as usual, Breen’s exegesis seems a little stretched. I don’t think Jesus’s language (“Kingdom of God”, “Repent and believe”, and so on) functioned anywhere near how Breen is going to use his LifeShapes. But, nonetheless, Breen’s approach will likely be effective for ministries.